distplot(mc,X) creates a heatmap from the data X showing the evolution of a distribution of states in the discrete-time Markov chain mc. distplot(mc,X,Name,Value) uses additional options specified by one or more name-value pair arguments. For example, specify the type of plot or the frame rate for animated plots. distplot(ax,___) plots on the axes specified by ax instead of the current axes (gca) using any of the input arguments in the previous syntaxes. The option ax can precede any of the input argument combinations in the previous syntaxes. h = distplot(___) returns a handle to the distribution plot. Use h to modify properties of the plot after you create it. 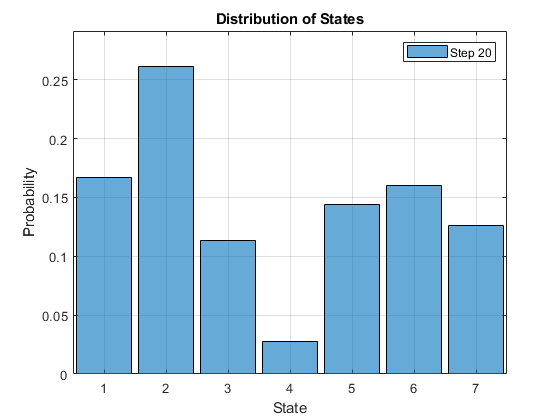 Compute the state redistributions at each step for 20 discrete time steps. Animate the redistributions in a histogram. Specify a half-second frame rate. 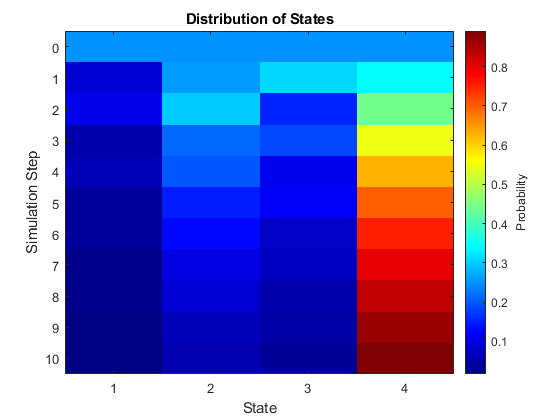 Evolution of state probabilities, specified as a (1 + numSteps)-by-NumStates nonnegative numeric matrix returned by redistribute. The first row is the initial state distribution. Subsequent rows are the redistributions at each step. distplot normalizes the rows by their respective sums before plotting. By default, distplot plots to the current axes (gca). Example: 'Type','graph','FrameRate',3 creates an animated plot of the redistributions using a frame rate of 3 seconds. Evolution of the initial distribution. The plot is a (1 + NumSteps)-by-NumStates heatmap. 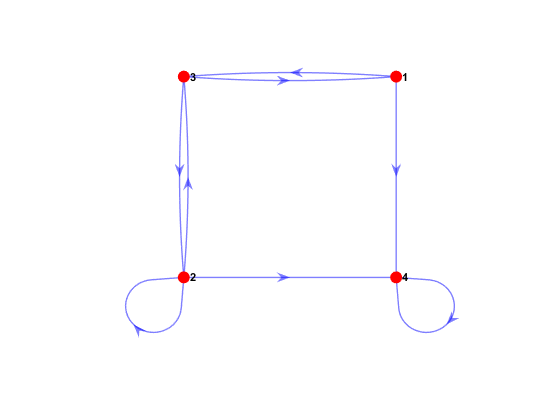 Row i displays the redistribution at step i. Animated histogram of the redistributions. 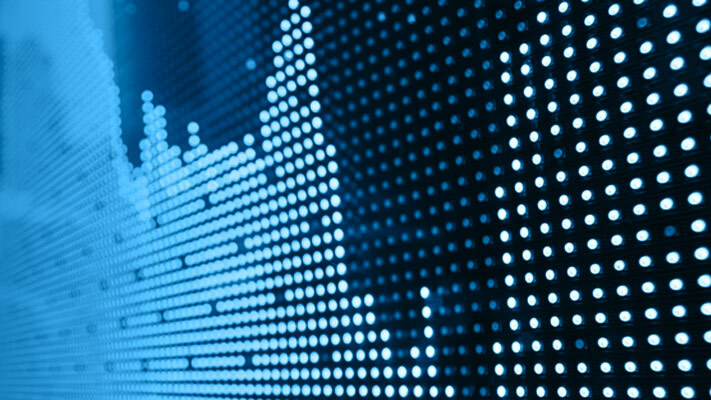 The vertical axis displays probability mass, and the horizontal axis displays states. The 'FrameRate' name-value pair argument controls the animation progress. Animated graph of the redistributions. distplot colors the nodes by their probability mass at each step. The 'FrameRate' name-value pair argument controls the animation progress. Handle to the distribution plot, returned as a graphics object. h contains a unique plot identifier, which you can use to query or modify properties of the plot.